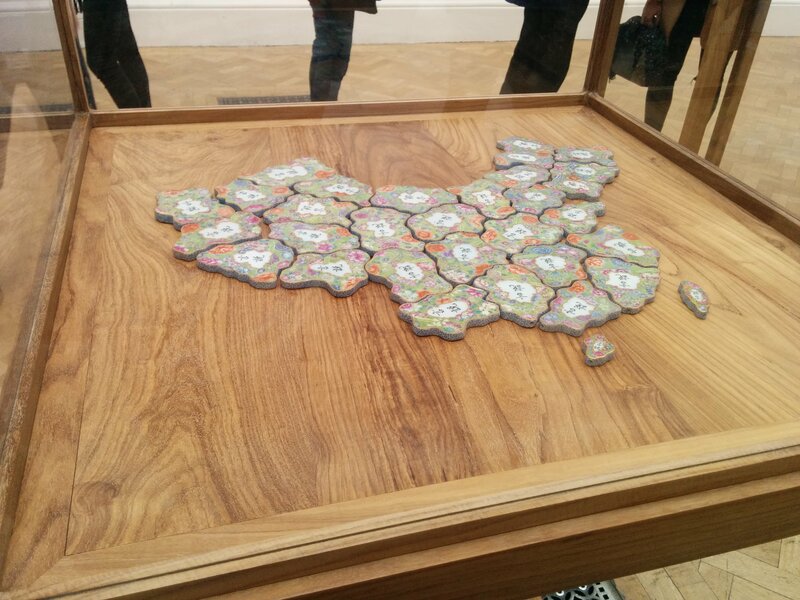 #365DaysofLondonBaby – Day 8 – Ai WeiWei Exhibition | That's London Baby! Fall is coming with big steps and often that means your weekend explorations have to slowly shift to inside activities. No problem, as there are many museums, exhibitions and galleries to explore. This fall’s “must-see” exhibition is definitely Ai WeiWei’s first large UK show in the Royal Academy. It has received rave reviews from all major media outlets and it offers all that AiWeiWei has become famous for: large scale installations, use/transformation of traditional / historical materials (Chinese furniture / Ming Vases etc. )., smaller witty pieces. All of them bringing together Chinese History / Culture with a relentless criticism of China’s political system and Elites – no wonder China’s president notably omitted the exhibition on his grand state visit last month! Can I recommend you going there? If you have never seen an AiWeiWei exhibition before and the above description interests you, definitely go. If you are a seasoned AiWeiWei veteran and have seen several of his shows- its not his best one. The pattern in the works becomes repetitive and the new installations lack some of the awe inspiring visuals of his previous works – given the limited space in the RA (as compared to the Tate Turbine Hall or the Martin Groupius Building in Berlin, where he had a stellar exhibit last year). Tickets are a steep £16 (that is excluding the almost obligatory donation and excluding booking fees) – they do include a multimedia guide though. Please note its mandatory to book in advance – in the best case you’ll otherwise might have to Q up for more than an hour to get tickets, in the worst case it’ll be sold out. You can book tickets here. Or you could become a friend of the RA, which starts at £97 a year, but will give free no-booking access for two for this and all other RA Exhibitions. The Exhibition runs until 13th December.